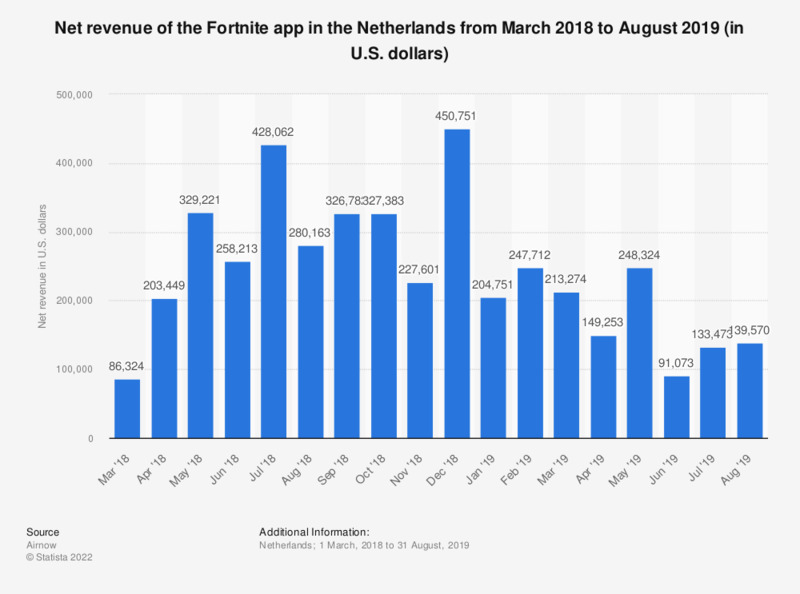 This statistic shows the net revenue made on the mobile app of Fortnite in the Netherlands from March 2018 to January 2019 (in U.S. dollars). According to figures provided by Priori Data, the net revenue made on Fortnite was highest in July and December 2018. The source defines net revenue as the revenue made with in-app purchases after the stores (Apple App Store and Google Play Store) received their share. As Fortnite is not available on the Google Play Store, the numbers provided here only concern the Apple App Store.